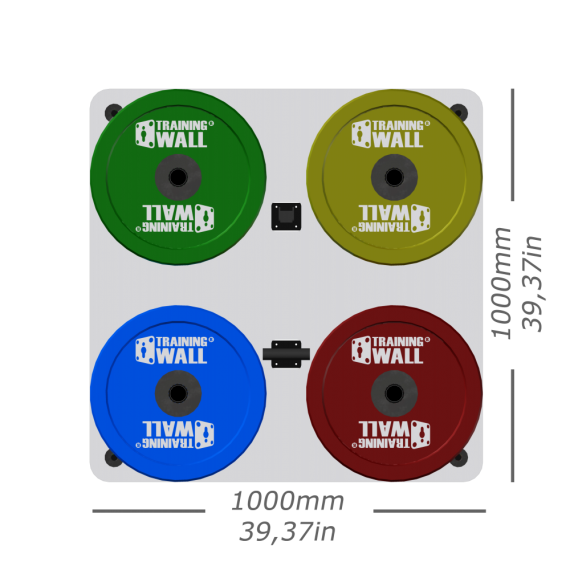 Store and display your Training Wall® weight plates with style and security on these elegant coordinating panels. 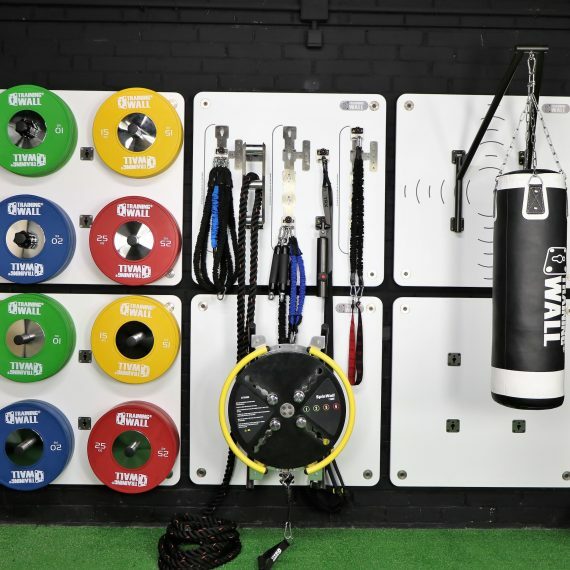 With four storage points per panel, weights can be accessed quickly and simply, and your training facility can be kept tidy and safe. 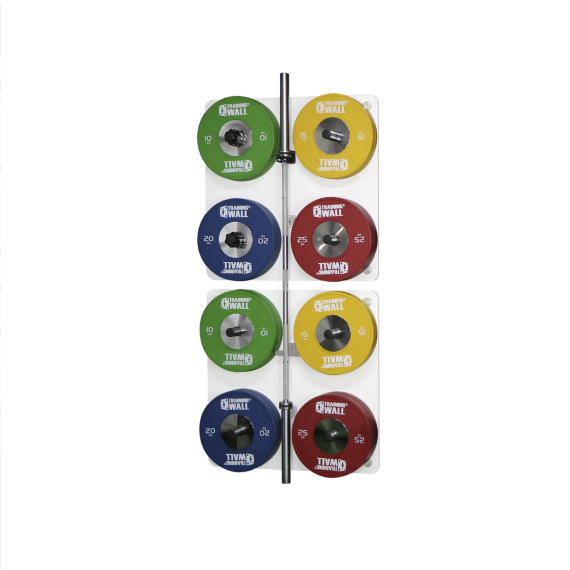 The Plate Storage features 4 Olympic weight storage pins with the capacity to hold either 4 x 10 kg, 3 x 15 kg, 3 x 20 kg plates, or 2 x 25 kg. A Training Wall® Bar holder can be added to the panel’s center anchor to sore a 50 mm Olympic Bar. 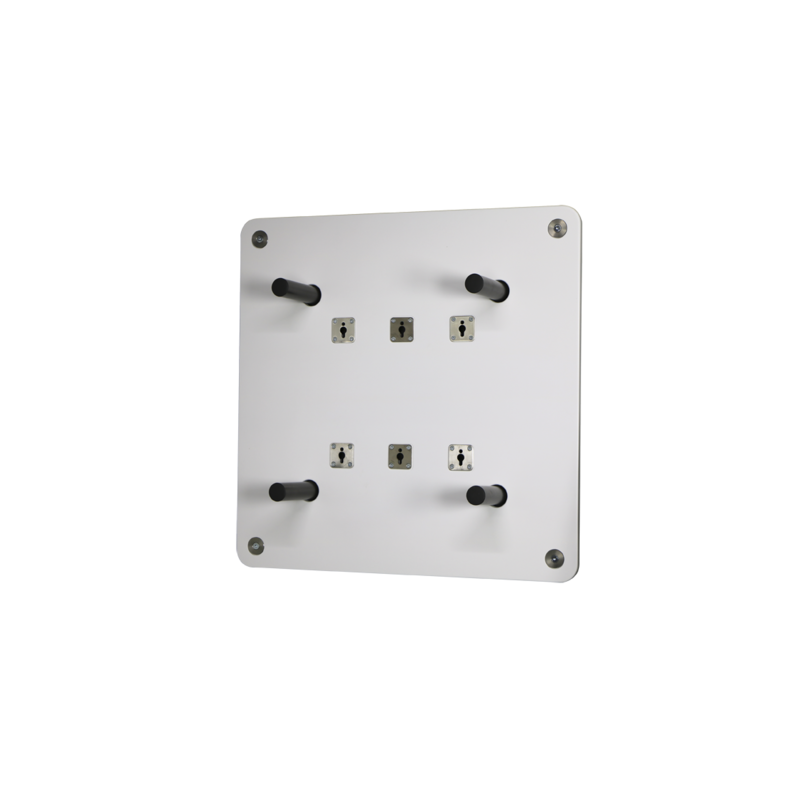 Also it is equipped with the Training Wall stainless-steel anchor plates to be used with all the range of products.